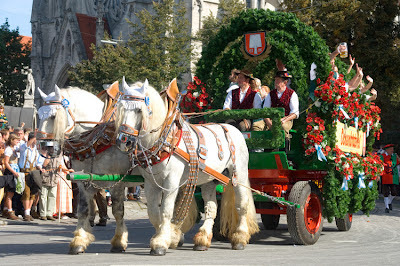 The Munich Wies'n (meadows), as Bavarians call it, will start tomorrow at 12 noon, after a spectacular procession through Munich to the location of the world's biggest beerfest, the Theresienwiese (Theresa's meadows). The march through town involves about 1,000 participants, including the brewers' families in decorated carriages, the magnificent horse-drawn drays of the Munich breweries, waitresses on decorated floats and all the beer tent bands. It's considered an honour to be invited to the Einzug. 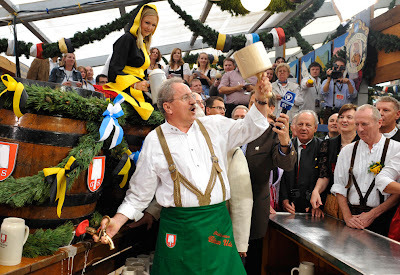 And as every year since 1810, the first barrel will be tapped by the mayor of Munich, accompanied by the words "O'zapft is" (Bavarian dialect for it's tapped). More info on this year's Wies'n, including live webcams, here. Interesting historical info on the Oktoberfest at wikipedia. 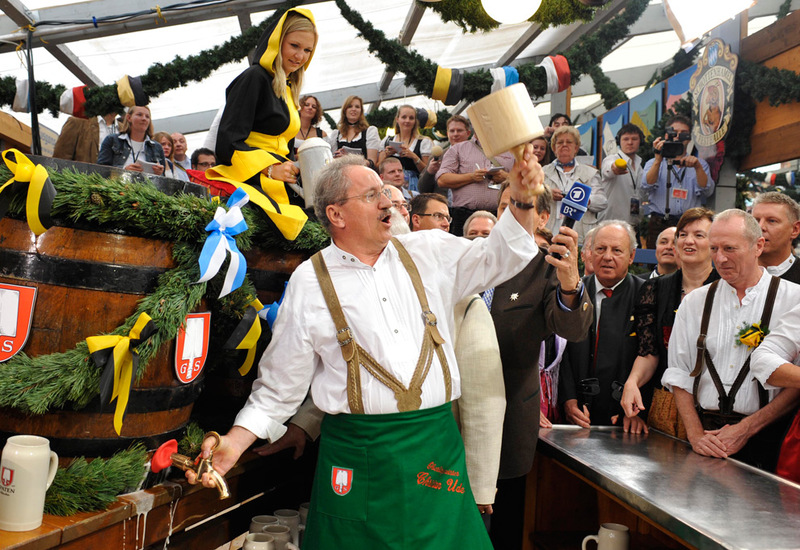 my favourite Wies'n-webcams are at http://www.oktoberfest.de/en/, and reportedly Mayor Uhde did a fine job at the 179th Wies'n, tapping the first barrel. No wonder – this was his 17th (!) time around. 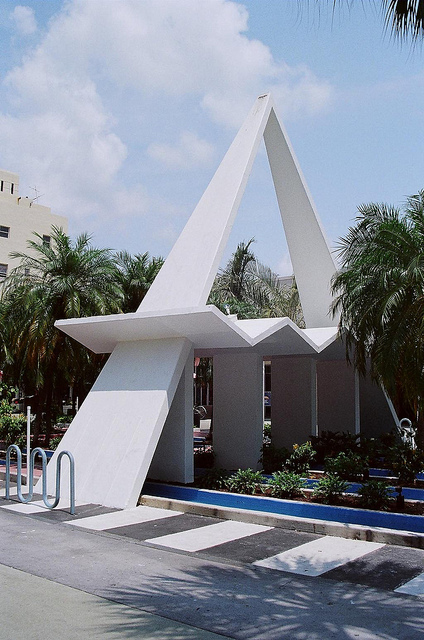 The Miami Design Preservation League offers the Art Deco + MiMo Tour Guide Academy, a course designed for people who would like to know more about Miami Beach’s unique architectural styles and wish to volunteer as tour guides. The curriculum focuses on the history of the Art Deco District, its architecture, and the efforts to preserve it. Graduating from the Academy requires completion of two days of educational sessions, which include walking tours, the study of architectural styles and Miami Beach history, and guest lectures. Candidates who wish to become volunteer guides need to attend a third Saturday session, primarily devoted to student presentations of selected walking tour sites. The MiMo demonstrations are available for Tour Guide candidates on the first Saturday of each month. Candidates can plan to attend this portion of the course according to their personal schedules. The cost for the Art Deco + MiMo Tour Guide Academy is $80 and includes walking tours, lunches, briefing materials, an architectural guide, information about the architecture MDPL is committed to preserving, and information about Miami Beach history. So which one do you plan on visiting? Photo: Lincoln Road, Miami Beach, designed by Morris Lapidus. © Philip Pessar.